HAPPY SATURDAY!! I am so excited to be home and hang with our newest puppy, Daisy!! I love her so much already and it has only been a week! Having her around is great – but I am forced to constantly be on the lookout for pees and poos, delightful, I know. It’s all making me just want to clean, clean, clean! Time for a fall cleaning! Naturally, I love to start this process in the kitchen. What can I get rid of? 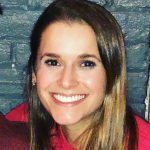 What is still good? What haven’t I been using enough of? What have I been using too much off? First stop, the fridge and freezer. There is nothing worse than finding old stuff in the fridge because you know its long gone. Food may sustain freshness in the fridge for a period of time – but food will still mold and smell, gross. The freezer, however, things don’t really go bad. They get freezer burnt after a while – but if something has been in there for a month or two, there’s a strong chance its still good! So when I opened my freezer, boy was I excited to see wild blueberries. Frozen fruit can last a LONG time – and these babies were only from about two months ago. I purchased them in hopes of making some fun summer smoothies but then clearly forgot about them completely. Does this ever happen to you? But have no fear, these tiny little globes of sweet goodness will not go to waste! They are full of flavor and great for more than just blending in smoothies – they are also great for baking in muffins, scones, bread, and more! 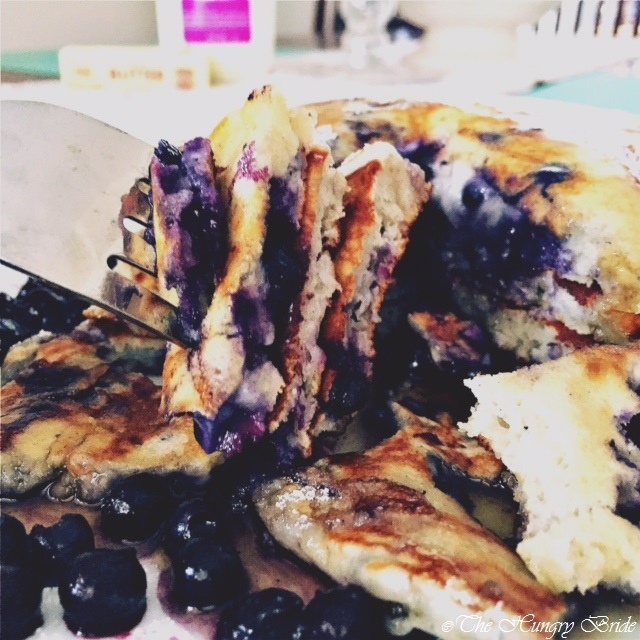 Jack Johnson provided fame and fortune for the infamous banana pancake – but where is the love for our sweet blueberry pancakes? 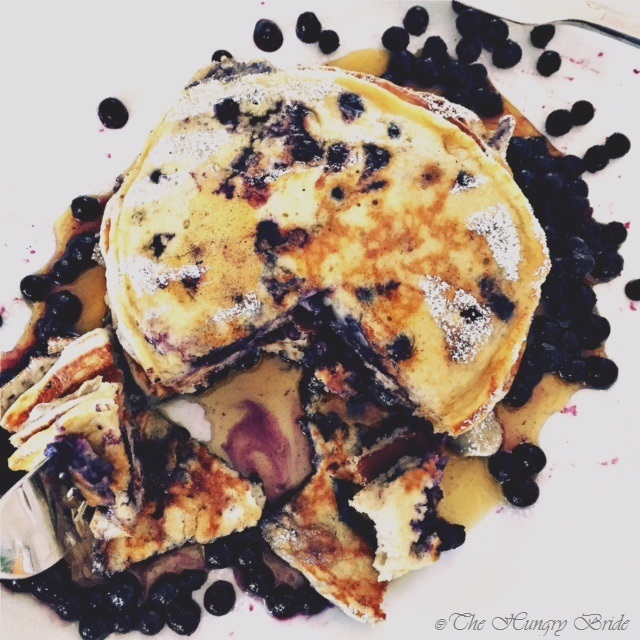 Using wild blueberries in pancakes is awesome because they are so small! 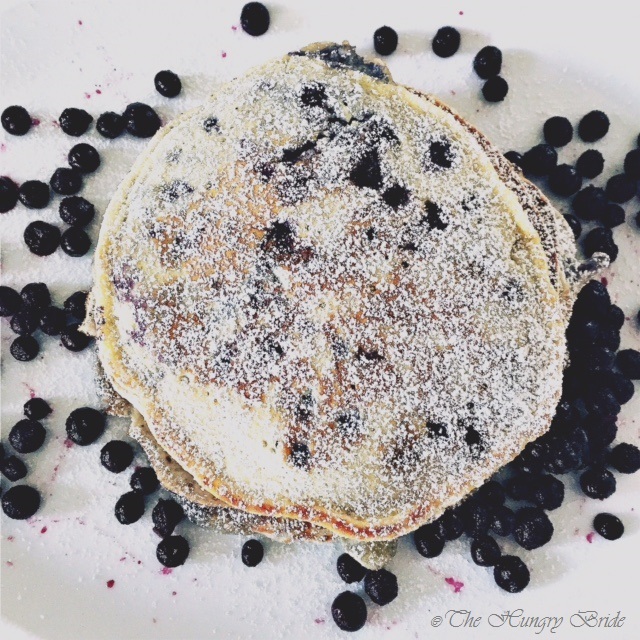 No mushy blueberries for me – no, thank you! 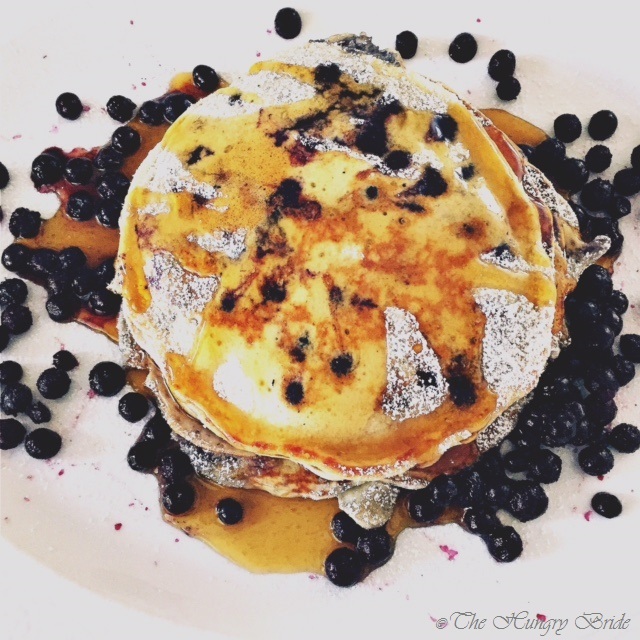 These awesome pancakes are fluffy, melt-in-your-mouth, creamy delicious – packed with bright blueberry flavor… just ready to soak up all the fresh maple syrup you can handle! Try the with confectioners’ sugar! Or with butter! Or plain! Or topped with whipped cream and fresh blueberries! In a small bowl, beat egg and milk. In a medium bowl, combine flour, sugar, baking powder and salt – stir until combined. Pour wet ingredients into dry, folding together until just moistened. Add blueberries. Add butter or oil to a large, flat skillet – put skillet over medium heat. Once butter or oil has heated, use a measuring cup (1/4, 1/3, or 1/2 depending on desired pancake size) to drop batter onto hot pan. The number of pancakes you can fit will depend on pan and pancake size. 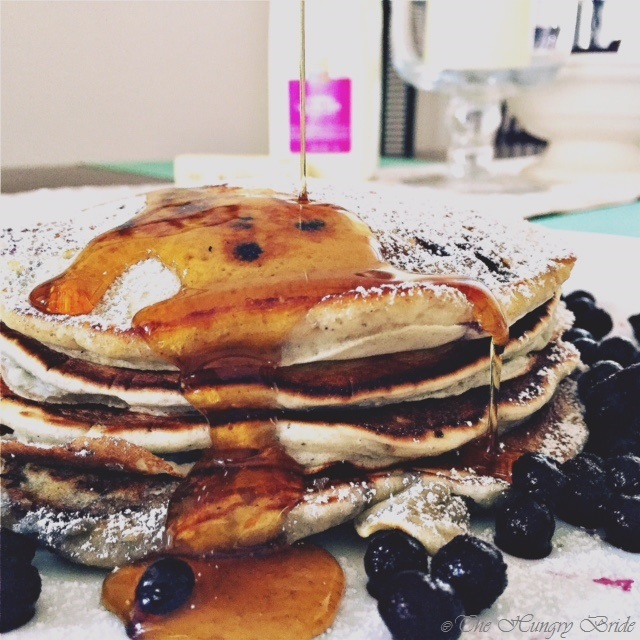 Allow pancakes to cook on first side for a few minutes – until batter begins to bubble, then flip those pancakes! Allow pancakes to cook on second side for another minute or two, before removing from skillet. 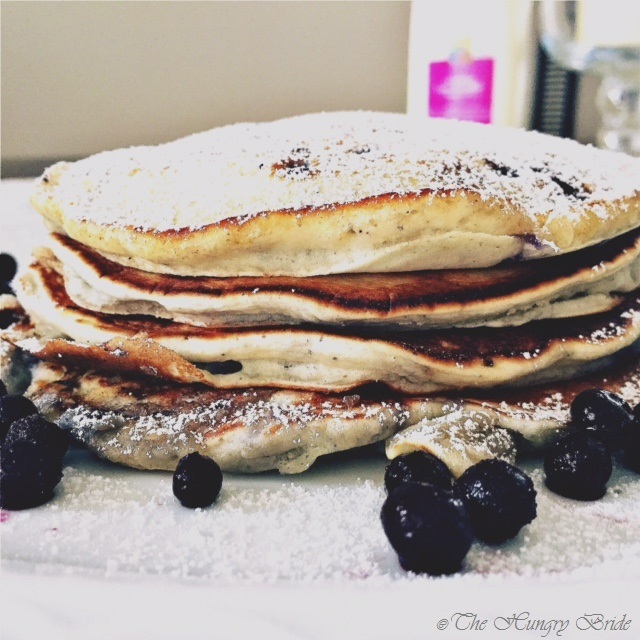 Serve immediately, or place on plate and cover with aluminum foil to keep warm, then serve when all pancakes are ready! 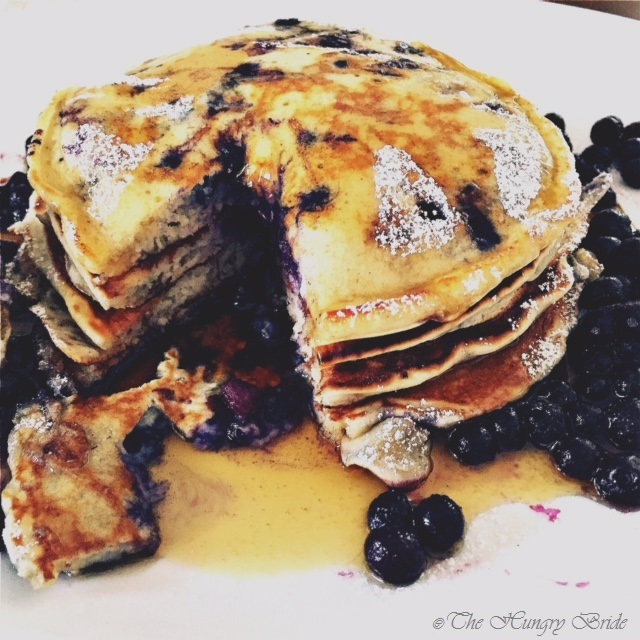 Eat with whipped cream and blueberries, butter, maple syrup, and/or confectioners’ sugar! YUM! Storage: Pancakes are best when served fresh – if necessary, refrigerate (without toppings) in airtight container for up to 1 day. Looking for another great brunch option? Check out my latest recipe for Pumpkin Spice Waffles!